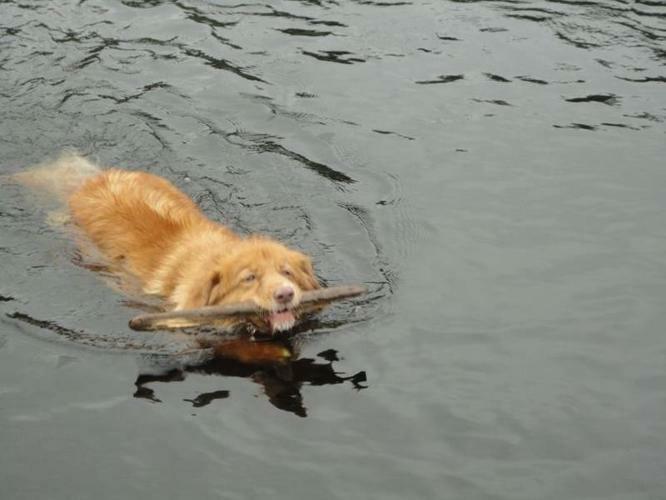 I have a 11 year old Nova Scotia Duck Tolling Retreiver. Due to allergies and travelling, we are looking for a god home for her. She is healthy, and had her annual shots in June. Serious inquiries only.She has alot of energy and loves the outdoors. Medium size dog. She is purebred and I have papers. UPDATE - She has found a home!